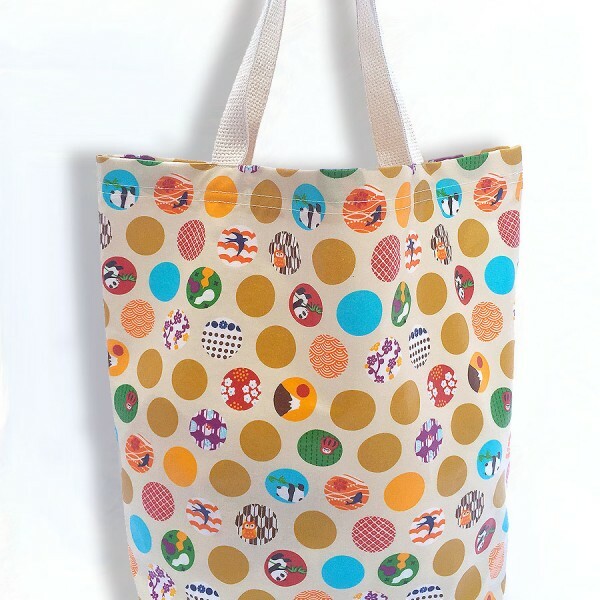 Panda Dots Laminated Tote Bag is Waterproof! -Laminated Cotton Canvas outside fabric + Cotton lining inside. -Wipe Clean with Damp Cloth outside bag. Machine Wash in Cold Water if needed. Lay Flat To Dry. Do Not Iron. Do Not Bleach. Do Not Dry Clean. SKU: AuntBucky_PDots_ToteBag. Categories: Tote Bags, Totes + Luggage. Tags: Aunt Bucky, bag, baggage, CarryAll Bag, CarryOn Bag, Diaper Bag, Gym Bag, handbag, laminated bag, Luggage, market bag, purse, reversible tote bag, tote bag, Travel Bag, vinyl tote bag, weekender bag, yoga bag. 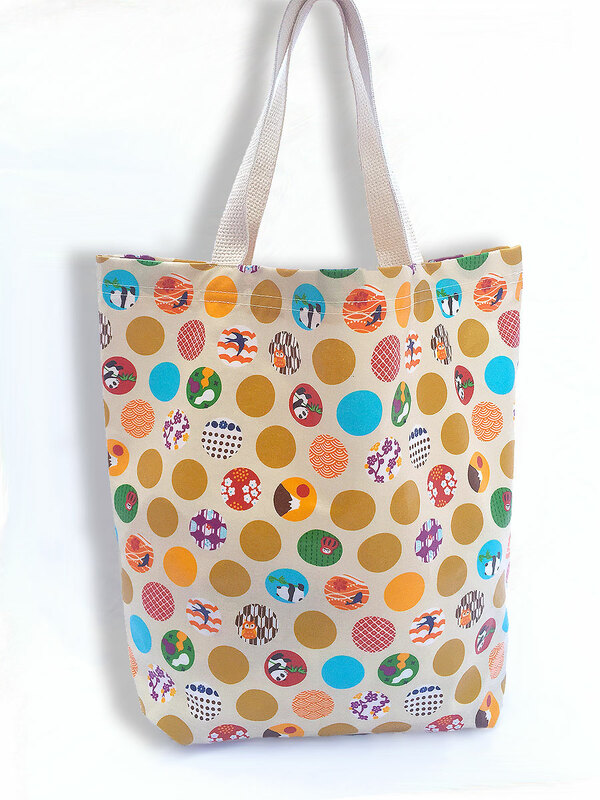 Panda Dots Laminated Tote Bag is a near-one-of-kind reversible bag! 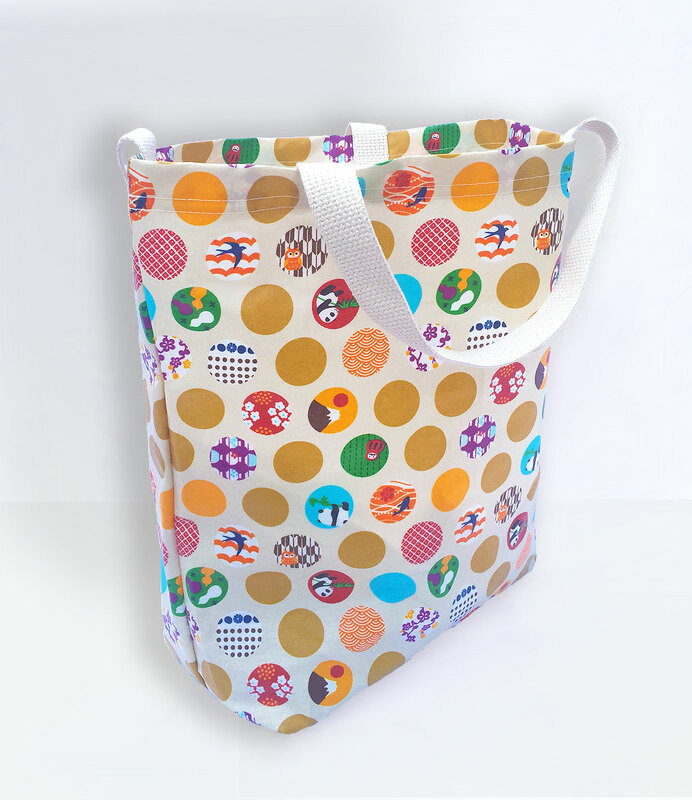 Our vibrant laminated carryall, Panda Dots Laminated Tote Bag offers plenty of room for everything when your shopping with the kids at your local Farmer’s Market or just holding all that extra stuff. Perfect for a rainy day or visiting the beach. Tapping into their affection for vintage fabrics, mid-century design and bold color they have created crib bedding, decor, and apparel that stimulate a baby’s development while also celebrating the fun and boundless imagination of childhood.